Last night one of my Facebook friends posted about Corey Feldmen's recent performance on the Today show. I went directly to the intrawebz and searched up the performance. It was painful. I'm not even going to link to it. I really do feel sorry for Corey. I was a huge fan back in the day and even watched the ill fated reality show The Two Coreys. It seems clear to me that Corey is seeking the approval of man. Of course, I don't know for sure because I'm not Corey Feldman. But, I know a little bit about seeking approval of man. I'm here to tell you: I am an approval freak. I like for people to like what I do. I like to win contests. I love to get awards. When I feel valued and appreciated, I will move mountains for you. Words of affirmation are a serious love language for me. And I will tell you that I've done A LOT of work on not finding my identity in those approvals. It was hard work. I was brought low when I didn't receive a something I had worked hard to attain. It's not a one time thing. It's an every day thing. I've been working on this for going on three years. But, something can happen and before I know it, I'm right back in that pit. It happened in August. A few comments and I'm staring up at the world from the bottom of my self dug pit. It takes a little less time to get out these days but it still happens. First, I had to come to terms with the fact that I am not in control. This took some time. Just like I love approval, I love control. But when I surrender control, I learn that God has a plan that is so much better than anything I could dream up. Next, I had to learn to be quiet and listen. Listen to what God is trying to teach me both through his Word and through His people. Another difficult task. I like to talk. I started asking questions and listening to people and I found a new direction. My favorite comment around this time was from Ryan, "I don't think you should have given up on writing"
Finally, I had to learn whose I was. When you're brought low, you have to remember that you are a CHILD of GOD. I have awesome, loving parents but God some how loves me more! That blows my mind. For real! Just soak that in. The God of the Universe loves YOU! He knit you in your mother's womb. He knows you and wants what's best for you. 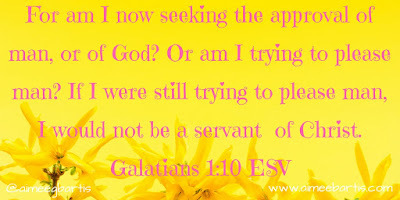 So, I am finally learning to seek my approval from God and not man. When I make things I still like to post them. I'm posting these words for you to read. But lately, I'm taking more satisfaction in a job well done. 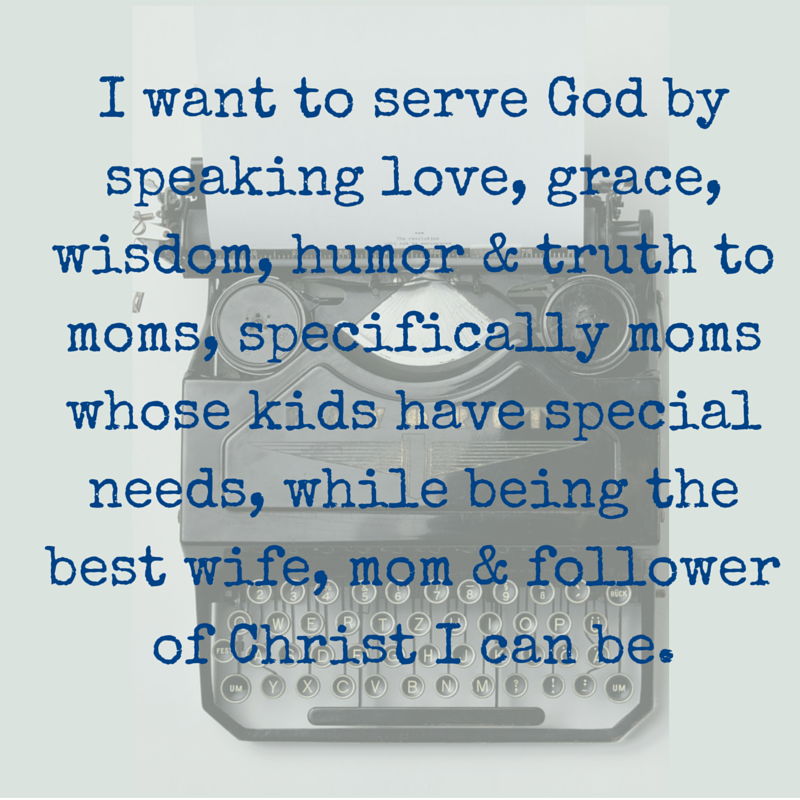 In the idea that perhaps God is using my words to guide someone else. I'm not so caught up in the likes and the accolades. It can be tricky and so hard at times. God doesn't send me any awards. He doesn't email to say "Great job! You rock!" But He communicates with me in other ways. He gives me peace in the direction I'm moving. He has one of my volunteers FaceTime me so a kid can tell me thank you for his favorite chips. I'm learning, slowly but surely. There's a plan? O.M.G. Why does it take us so long to understand that? You have done a wonderful job with your writing and you continue to help me refocus and center and truly look at what is important. Thank you for this journey you are on and for your continuing to put it into words for us to enjoy and learn. Try It! or Try It?